Penn State shut out Lehigh 42-0 in one of the most dominant performances you will see against a top-10 team. The Nittany Lions outscored the Mountain Hawks, who were without six starters, 122-38 and didn’t allow a single takedown. The dual began at 197 pounds with No. 1 Bo Nickal facing No. 15 Jake Jakobsen. Nickal got off to a fast start, registering three takedowns and four near fall points in the first period to go up 10-2. 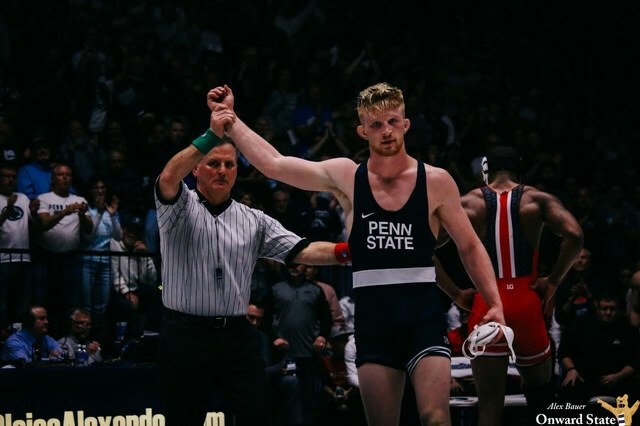 He kept the scoring coming, taking down Jakobsen four more times and escaping once en route to a 19-4 technical fall win that gave Penn State a 5-0 advantage. After losing first 14 dual bouts, Devin Schnupp got his second win of the weekend. He earned a standing ovation from the Rec Hall faithful after beating Luke Resnick 5-1 at 125 to make the score 12-0. Schnupp led Resnick 3-0 after the second period and sealed the win with a late takedown to make the final score 5-1. True freshman Roman Bravo-Young continued to display his offensive firepower and inhuman agility against Brandon Patezell. He racked up more than three minutes of riding time and used two late takedowns to clinch a 13-5 major decision. In the second period, Paetzell had Bravo-Young by his leg and was threatening to score until Bravo-Young acrobatically flipped around Paetzell and somehow came away with a takedown of his own. After the intermission, Jarod Verkleeren met Jimmy Hoffman at 149. Verkleeren, who got the nod over Brady Berge as the two continue to compete for the starting job, pulled out a gritty 5-3 win. Although it wasn’t as exciting as his first period throw in his Rec Hall debut, Verkleeren outlasted Hoffman to make the dual 23-0. At 157, Josh Humphreys did what few wrestlers have been able to do: keep up with Jason Nolf for at least part of the match. Early on, Nolf couldn’t get much going against Humphreys (relatively speaking) and led only 8-3 at the start of the third period. As the period continued though, reality kicked in. Nolf found his stride and pinned Humphreys at the 6:19 mark. With 51 career pins, he now needs only two more to tie the program record. Vincenzo Joesph with the fall at 4:47! Penn State up 35-0 on Lehigh. In one of the afternoon’s more interesting matchups, No. 2 Mark Hall met No. 7 Jordan Kutler. Last season, Hall narrowly beat Kutler, 3-2, and their match on Sunday was nearly as close when Hall beat Kutler 6-1. A late takedown and riding time point opened the score up a bit, but the defensive-minded Kutler seemed to have an answer for most of what Hall tried. The dual ended with an 11-2 major decision at 184, when No. 4 Shakur Rasheed beat Andrew Price, who was wrestling in place of No. 7 Ryan Preisch. Rasheed tallied four takedowns in the win, bringing the team’s dual total to 47. 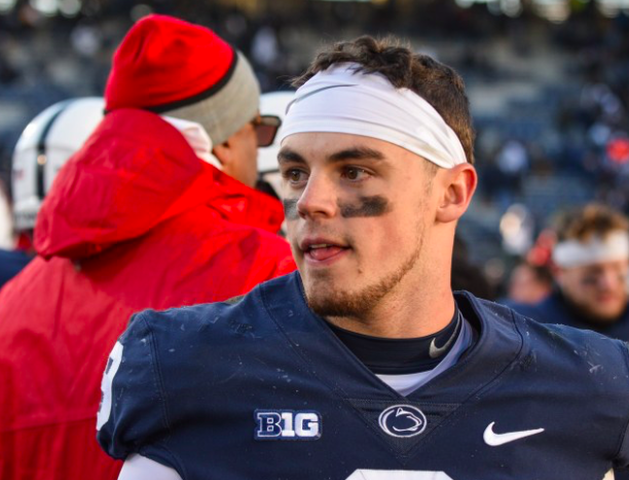 After an up and down season, the Nittany Lions have a bowl destination. Penn State will face Kentucky on New Years Day at 1 PM in the Citrus Bowl held in Orlando, Florida.